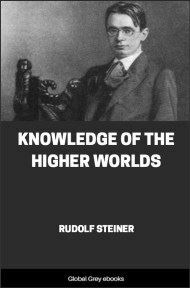 THERE slumber in every human being faculties by means of which he can acquire for himself a knowledge of higher worlds. 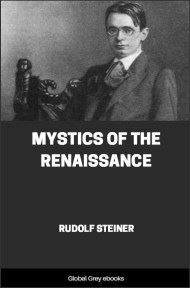 Mystics, Gnostics, Theosophists—all speak of a world of soul and spirit which for them is just as real as the world we see with our physical eyes and touch with our physical hands. At every moment the listener may say to himself: that, of which they speak, I too can learn, if I develop within myself certain powers which today still slumber within me. There remains only one question—how to set to work to develop such faculties. For this purpose, they only can give advice who already possess such powers. As long as the human race has existed there has always been a method of training, in the course of which individuals possessing these higher faculties gave instruction to others who were in search of them. 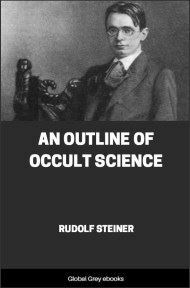 Such a training is called occult (esoteric) training, and the instruction received therefrom is called occult (esoteric) teaching, or spiritual science. This designation naturally awakens misunderstanding. The one who hears it may very easily be misled into the belief that this training is the concern of a special, privileged class, withholding its knowledge arbitrarily from its fellow-creatures. He may even think that nothing of real importance lies behind such knowledge, for if it were a true knowledge—he is tempted to think—there would be no need of making a secret of it; it might be publicly imparted and its advantages made accessible to all. 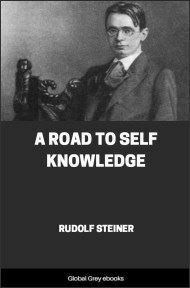 Those who have been initiated into the nature of this higher knowledge are not in the least surprised that the uninitiated should so think, for the secret of initiation can only be understood by those who have to a certain degree experienced this initiation into the higher knowledge of existence. The question may be raised: how, then, under these circumstances, are the uninitiated to develop any human interest in this so-called esoteric knowledge? How and why are they to seek for something of whose nature they can form no idea? Such a question is based upon an entirely erroneous conception of the real nature of esoteric knowledge. 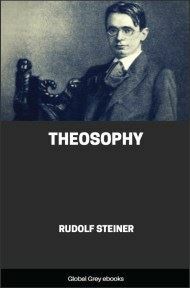 There is, in truth, no difference between esoteric knowledge and all the rest of man's knowledge and proficiency. This esoteric knowledge is no more of a secret for the average human being than writing is a secret for those who have never learned it. And just as all can learn to write who choose the correct method, so, too, can all who seek the right way become esoteric students and even teachers. In one respect only do the conditions here differ from those that apply to external knowledge and proficiency. The possibility of acquiring the art of writing may be withheld from someone through poverty, or through the conditions of civilization into which he is born; but for the attainment of knowledge and proficiency in the higher worlds, there is no obstacle for those who earnestly seek them. Many believe that they must seek, at one place or another, the masters of higher knowledge in order to receive enlightenment. Now in the first place, whoever strives earnestly after higher knowledge will shun no exertion and fear no obstacle in his search for an initiate who can lead him to the higher knowledge of the world. On the other hand, everyone may be certain that initiation will find him under all circumstances if he gives proof of an earnest and worthy endeavor to attain this knowledge. It is a natural law among all initiates to withhold from no man the knowledge that is due him but there is an equally natural law which lays down that no word of esoteric knowledge shall be imparted to anyone not qualified to receive it. And the more strictly he observes these laws, the more perfect is an initiate. The bond of union embracing all initiates is spiritual and not external, but the two laws here mentioned form, as it were, strong clasps by which the component parts of this bond are held together. You may live in intimate friendship with an initiate, and yet a gap severs you from his essential self, so long as you have not become an initiate yourself. You may enjoy in the fullest sense the heart, the love of an initiate, yet he will only confide his knowledge to you when you are ripe for it. You may flatter him; you may torture him; nothing can induce him to betray anything to you as long as you, at the present stage of your evolution, are not competent to receive it into your soul in the right way. The methods by which a student is prepared for the reception of higher knowledge are minutely prescribed. The direction he is to take is traced with unfading, everlasting letters in the worlds of the spirit where the initiates guard the higher secrets. In ancient times, anterior to our history, the temples of the spirit were also outwardly visible; today, because our life has become so unspiritual, they are not to be found in the world visible to external sight; yet they are present spiritually everywhere, and all who seek may find them. Only within his own soul can a man find the means to unseal the lips of an initiate. 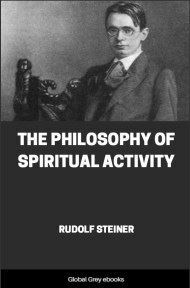 He must develop within himself certain faculties to a definite degree, and then the highest treasures of the spirit can become his own. He must begin with a certain fundamental attitude of soul. In spiritual science this fundamental attitude is called the path of veneration, of devotion to truth and knowledge. Without this attitude no one can become a student. The disposition shown in their childhood by subsequent students of higher knowledge is well known to the experienced in these matters. There are children who look up with religious awe to those whom they venerate. For such people they have a respect which forbids them, even in the deepest recess of their heart, to harbor any thought of criticism or opposition. Such children grow up into young men and women who feel happy when they are able to look up to anything that fills them with veneration. From the ranks of such children are recruited many students of higher knowledge. Have you ever paused outside the door of some venerated person, and have you, on this your first visit, felt a religious awe as you pressed on the handle to enter the room which for you is a holy place? If so, a feeling has been manifested within you which may be the germ of your future adherence to the path of knowledge.